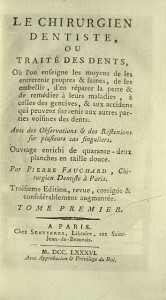 Pierre Fauchard, the creator of the art of dentistry “This work is the best one ever written on teeth illness” (Floy, Dictionnaire historique de la Médecine). 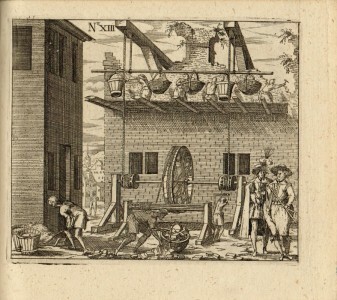 2 parts in 2 12mo volumes [167 x 95 mm] of: I/ xxiv pp., 1 portrait of the author as frontispiece, 494 pp., (4) ll. 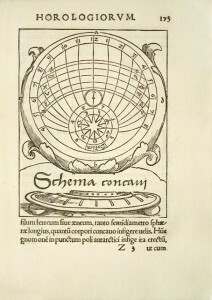 of table and 8 full-page plates out of pagination; II/ (10) ll., 424 pp. and 34 full-page plates out of pagination. 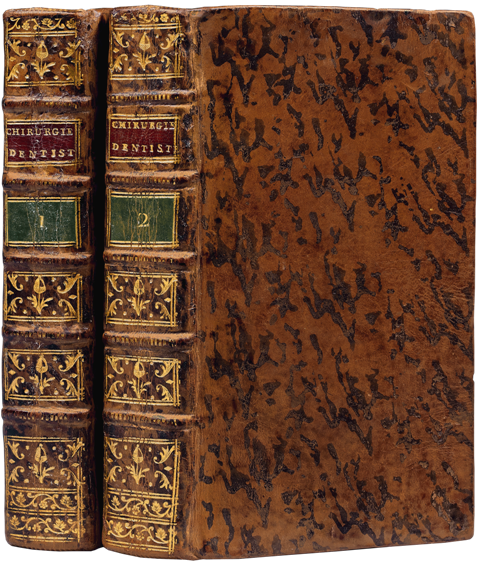 Bound in full light-brown marbled calf, spines ribbed and decorated, red and brown morocco lettering pieces, sprinkled edges. Contemporary binding. 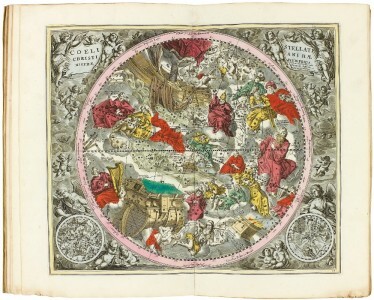 Third original edition illustrated with a portrait of the author and 42 plates. 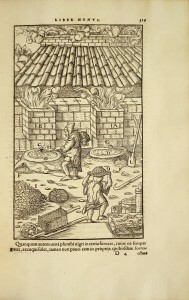 David, Bibliographie française de l’art dentaire, p. 113. 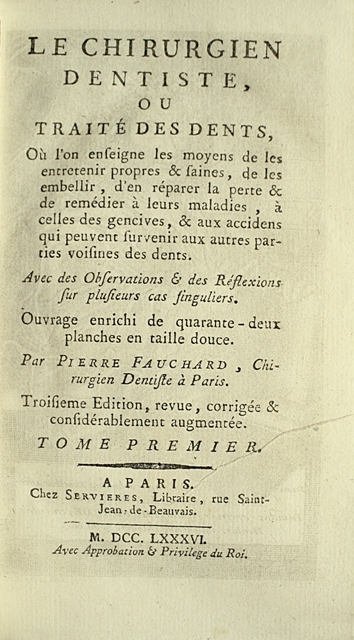 “This work is the best one ever written on teeth illness.” Floy, Dictionnaire historique de la Médecine. Pierre Fauchard, was a dental surgeon, born in Brittany at the end of the 17th century. During 40 years, he successfully worked in Paris as a dental surgeon. 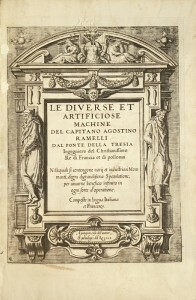 “When published, the work obtained the approval from the most educated anatomists, doctors and surgeons, and still supports his great reputation. The imperfections we find in it testify the progresses of art, and nevertheless the work will be favorably consulted by anyone who longs to be like Fauchard, good dental surgeons. Before this author, there was no written work that would teach the way to file, carve, fill the teeth; on the art of making artificial ones, of executing simple or double dentures, or to place an obturator on the palate. He imagined 5 different ones he used and which are still successfully used. 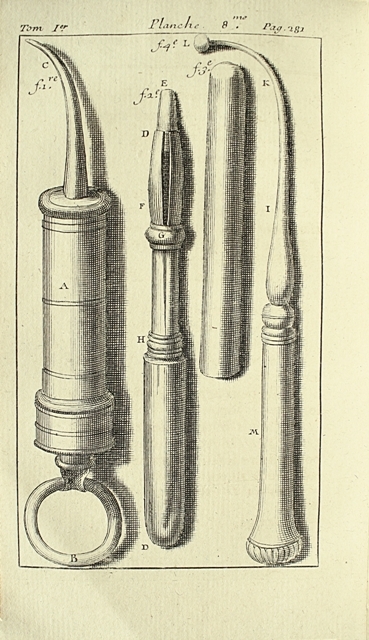 Fauchard accurately described the abscess attacking the substance inside the teeth without altering the cortical substance.” We can consider this surgeon as the creator of the art of dentistry. 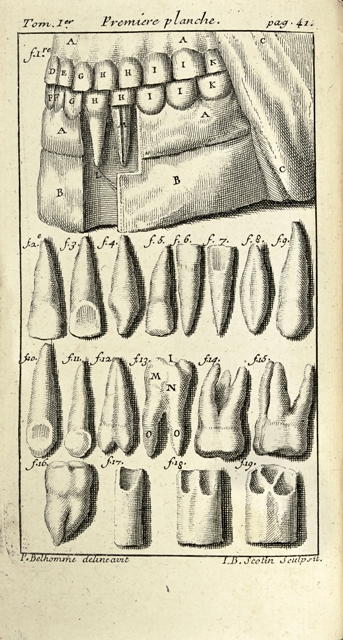 “Pierre Fauchard has been called the ‘Father of Dentistry’; his comprehensive and scientific account of all that concerned dentistry in the 18th century is one of the greatest books in the history of the subject. 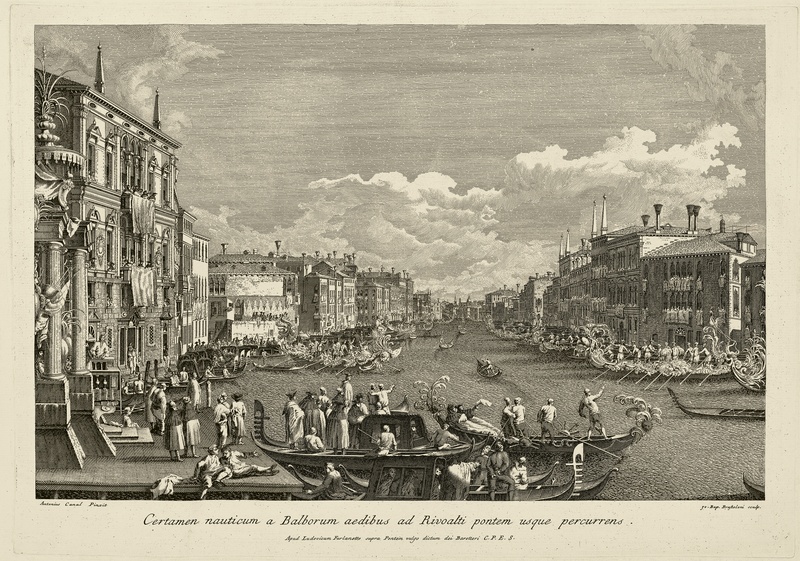 The second edition, published in 1746, contains a good description (vol. I, pp. 27f-277) of pyorrhoea alveolaris; it was translated by Dr. Lilian Lindsay and published by the British Dental Association in 1946.” (P.M.M., n°186). 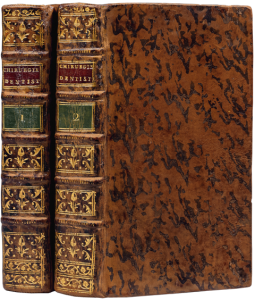 A beautiful copy preserved in its contemporary light-brown marbled calf bindings. 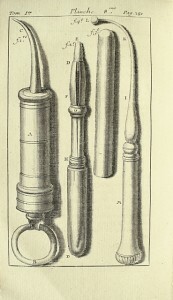 “This work is the best one ever written on teeth illness” (Floy, Dictionnaire historique de la Médecine).